I have got a busy week planned, with the whole of Year 9 coming to me for the Cyber Smart course. I have timetabled them in one tutor class at a time in the library, so that is 6 double sessions. So far I have done two of them. I started yesterday with my tutor class, so I could be more comfortable as this is all new to me!! It wasn't the "smoothest" thing you have ever seen, but they were very forgiving. ( They probably knew what I would do to them if they weren't !! ). don't let myself waffle on so much. I shared a Google form with my tutor class at the end of the day to get them to tell me how it went, so I could pick up my game for the rest of the year group. Their feedback is here if you are interested, but take no notice of the top two. They were grovelling! Today I had 9PTd, and it went much better. Here they are watching one of the cyber smart videos. 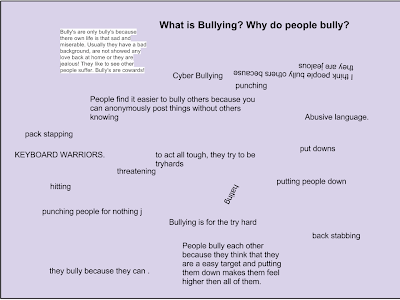 I tried something new with this group when we were talking about cyber bullying and I got them to put what they were telling me onto a couple of shared Google drawings. 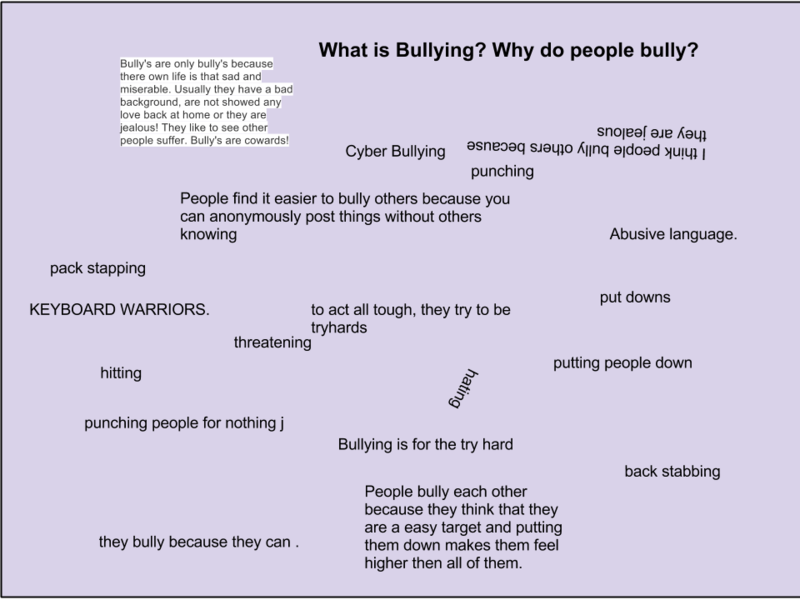 What should you do if cyber bullying starts happening to you? I have got another four sessions to go over this week and two days next week. I hope they continue to improve as I get more confident and add more things to do. This is when someone is feeling brave behind the keyboard and saying things they wouldn't say to your face.